The New iOS Update FINALLY Has the Ginger Emoji And Much More! The day all ginger IPhone users have been waiting for is Finally here. Apple have been teasing the ginger emoji for so long and now the time has come. 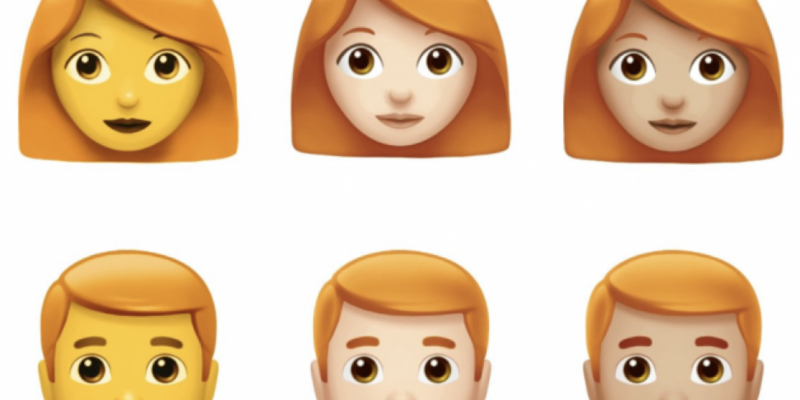 The ginger emoji will be available as part of the new iOS update plus so much more. It's not just ginger emojis that have been added, Apple have introduced a total of 158 new emojis. Some of our favourite include a peacock, superheros and a cupcake. But it doesn't stop there, you can also FaceTime all your friends at once. The new update will allow 32 people to be included in a group FaceTime and whoever is speaking will appear as the largest image on the screen.